There's is nothing quite like a good ole' tongue twister to get you and the kids all caught up in giggles. These great little poems are full of tongue tangling words that are lots of fun to learn. They challenge your brain to get the rhythm and the words just right. You have to take your time with as these phrases of alliterative words that sound so much alike can be a real challenge. They'll go a long way in helping your little ones develop verbal skills. 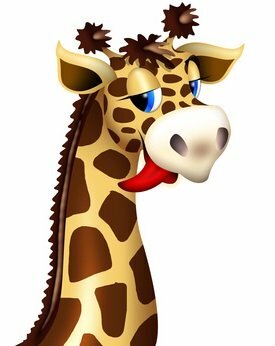 Tongue twisters challenge their little minds in develop strong memory skills, pronunciation and mental reasoning. Tongue twisters can range from just a single sentence to a whole poem. I've chosen some great tongue tangling rhymes for you and your special little ones to enjoy. Go ahead and take up the challenge! Learn something new, have a few laughs, have contests to see who can get the furthest through the poem without getting all tongue tied! Check out our list of tongue twisters to get you started! Do you know a fun tongue twister that we missed? Be sure to share it with all of us. All you need to do is fill in the submission form below and we'll add your contribution to our list of challenging twisters! Can you tie us up with a great tongue twister? Tongue twisters are so much fun! Do you know one that we've missed? We'd love to have you share your twister with us. Your tongue twister will appear on a Web page exactly the way you enter it here. You can wrap a word in square brackets to make it appear bold. For example [my story] would show as my story on the Web page containing your twister.